Established in 1996, NIILM Centre for Management Studies has made rapid strides over the year and is today counted among the top business schools in the country. According to the latest surveys the institute has been adjudged as the Best B-School in North India by Times Research Foundation and Best MBA College in North India by Brands Academy. Prestigious publications like Indian Management, Outlook, Competition Success Review have been ranking NIILM Centre among the country’s most promising B-Schools over the last few years. In the latest surveys for the year NIILM Centre for Management Studies is Ranked 8th amongst Top B-Schools in Delhi and NCR (Business World Survey 2013) NIILM has been considered among the top 10 business management institutions in the country consistently. It is now an integrated business school, providing comprehensive and innovative post-graduate management programs not only to fresh graduates but also to working executives. 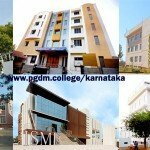 Its flagship Post Graduate Diploma in Management (PGDM) approved by All India Council for Technical Education (AICTE) is also recognized by Association of Indian Universities (AIU) as equivalent to an MBA degree. The program has also been accreditated by National Board of Accreditation (NBA) Govt. of India. With highly qualified full-time faculty, research is given priority at the Centre to ensure our teaching is based on the best possible understanding of the real business world. Nearly 1500 NIILM Alumni are working in responsible managerial and leadership position in Indian and Foreign companies today. The centre is fully equipped with all the necessary infrastructural facilities to provide students with an outstanding learning experience. 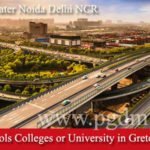 NILLM-Center for Management Studies is known for its academic integrity, ethical governance and intellectual warmth on one hand, and for its fine blend of cutting-edge curriculum, skill-building pedagogy and uncompromising learner-centricity on the other. With highly effective industry outreach programs, NILLM-Center for Management Studies has an excellent placement record in terms of compensation and positions offered to its graduates. 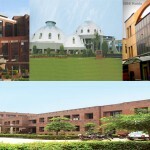 The Corporate Resource Center for NIILM-CMS is a dedicated resource serving students and recruiters. The Center provides maximum opportunities to the students and tools to facilitate the job-hunting process. CRC organizes several workshops and other events to establish closer relationships with the corporate sector and organizes on campus interviews with several companies. With the strong alumni network and active industry support the center has been highly successful so far in placing our students in several leading organizations both in India and abroad. Backed by a strong base of some outstanding faculty and high quality resources, all NIILM programs are fashioned to prepare individuals who’ll be exceptional manager-leaders throughout their careers. The programs provide an education that really lasts a lifetime. NIILM Centre for Management Studies campus is spread over a sprawling 2.5 acres of verdant greenery. The campus is ideal for creativity and serious academics. 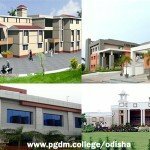 The campus is equipped with all the modern infrastructural facilities including air-conditioned classrooms, modern administrative blocks, separate hostels for boys and girls, open air auditorium etc. Other forms of teaching like interactive sessions, workshops, seminars, leadership exercises, management games, mock interviews, meetings and role-plays are organized in the seminar and conference room. The institutes’ library has an extensive and valuable collection of business knowledge that serves the research needs of NIILM Centre for Management Studies faculty, staff and students. The extensive, tech-savvy library provides easy access to information, and is well equipped with state-of-the-art facilities and resources. The core strength of the library lies in its online resources. It subscribes to the EBSCO Business Premier, EBSCO Health Elite, EBSCO Mass Media and Communication Studies, PROWESS and Industry Analysis databases. NIILM-CMS has a progressive Wi-Fi campus, which facilities students to access global information wherever they are. The institutes’ computer center is well equipped with latest configuration systems supported by laser printers, scanners and other peripheral devices. All the students are provided with laptops, which have the latest configuration. High speed 24×7 Internet connectivity is available to the students through the 4mbps leased line. NIILM’s full-time PGDM program offering specializations in the areas of International Business, Marketing, Finance, Human Resources Management, Operations and Information Technology & Systems Management, is administered within the framework of a strong training system. Equipped with the fully functional mechanisms of feedback and control, this training system helps the NIILM Centre for Management Studies PGDM curriculum in: * Developing in the graduating students an optimal pattern of interpersonal and behavioral responses to stress situations, generally experienced in organizations. * Developing skills in the latest comprehension, analysis and problem solving tools, techniques and models and imbuing them with a holistic management perspective. * Training them in the skills generally required at the management trainee level in organizations. 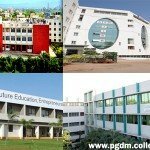 The four-semester, two-year, full-time PGDM program is split into four phases: Basic, Consolidation, Advanced and Concentration. 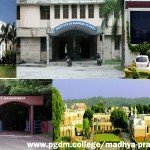 Each phase is of one semester and closes with an end-term examination. The Basic phase begins with a management perspective from ground-up by exposing students to the various dimensions of business & organizational environments and enables them get a feel of the various functional areas of management. This is also a phase in which conventional bugbears relating to statistics and mathematics are carefully removed. 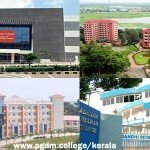 The Consolidation phase categorically aims at training students in the skills of using various tools, techniques and case studies that are required to solve general problems encountered in various functional areas of management. By the end of this phase, a student should be able to appreciate the general dynamics of problems and situations in differing environmental and organizational settings and develop an approach towards prognosis and problem- shooting. This phase culminates with an eight-week summer-internship in any large organization of repute.